Dr. Roger Cheng is the C.W. Carry Professor of Steel Structures, Structural Engineering, and Chair of the Departmental of Civil and Environmental Engineering. An expert in steel structures, rehabilitation of structures using fiber reinforced composite materials, structural health monitoring and design and behaviour of steel structures, Dr. Cheng is an international leader in his field. Dr. Cheng is the author of more than 70-refereed journal publications, more than 90 refereed conference publications, and in the past six years alone has more than 50 non-refereed publications.His world expertise has led him to be a highly sought after member of technical communities such as the CSA S806 – Design and Construction of Building Components Using Fiber-Reinforced Polymers and CSA S136 – Design of Cold-Formed Steel Members. 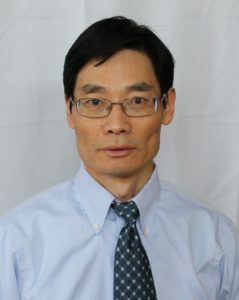 Dr. Cheng is a Member of the International Society for Structural Health Monitoring of Intelligent Infrastructure. He has held the C.W. Carry Chair since 1997 and served as Theme Director of ISIS Canada from 2000 to 2009.